Do you have a friend who lives close by? Why don’t you take them some cookies? Or some candy? You choose-either way, they will be happy! We made some chocolate chip cookies for our new neighbors across the street. 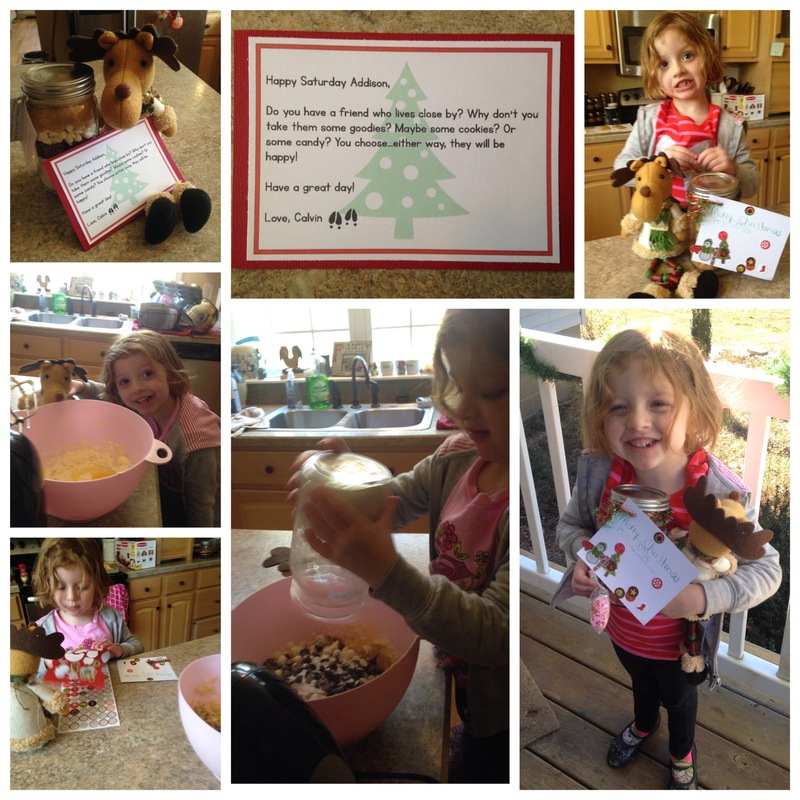 She wrote a sweet note and attached to the cookies, then we took them over. Calvin even made an appearance! Out neighbors were very grateful for their gift!